Maybe you think a pencil is just a pencil, a utensil that is easily replaced and should be thrown away when it becomes too difficult to manipulate. But, for Susan Avingaq whose story this is, a pencil is so much more. 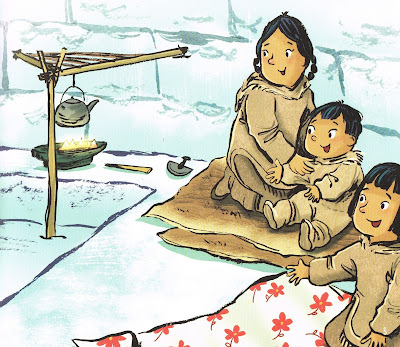 When Susan's mother leaves their iglu to help a neighbour with a birth, she and her sister Rebecca and brother Peter are left in the care of their father. Play for the children includes having a jumping contest, a game of hide-and-seek and the two older girls practising their letters on the frost surface of the ice window. But when Ataata pulls out the pencil from the special box of Anaana's things, everything changes. The pencil is already very short from Anaana's writing of letters to people in other camps, using whatever paper she might save including from tea boxes and sugar bags, but it is still gold. Anaana always said that we needed to be very careful with the pencil and that it wasn't a toy. Ataata also gives Susan a piece of paper and suggests she draw pictures for her brother. 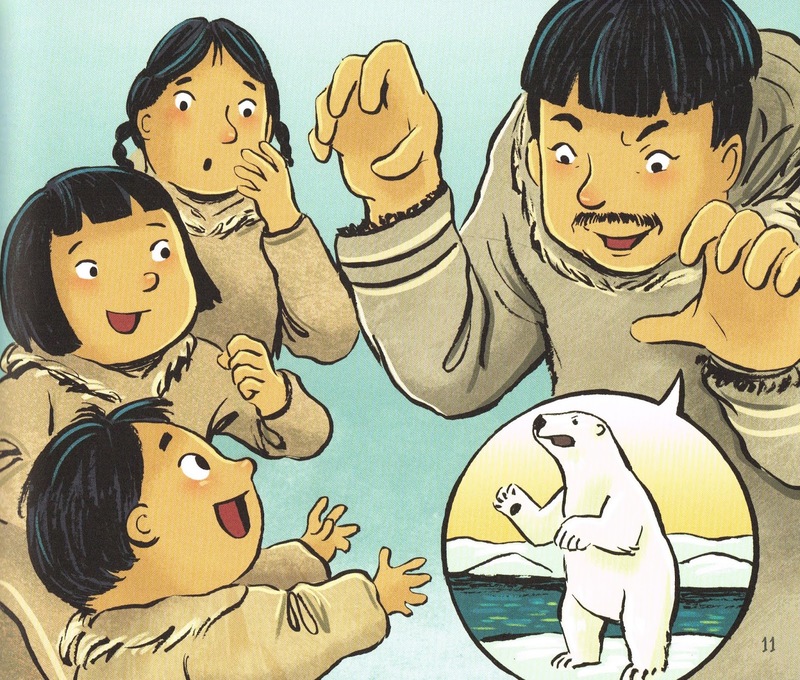 Though nervous, she draws seals and caribou and her family. Then Rebecca practises her writing, and Peter draws some scribbles and their father draws different inuksuit. The pencil gets shorter and Ataata has to sharpen it with his knife. 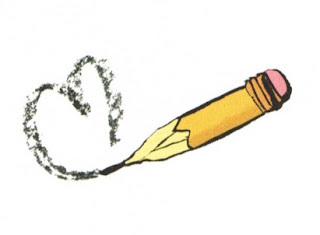 When their mother returns and is somewhat taken aback by their use of her pencil, she still cheers their efforts and is pleased that they'd had a good day. Susan Avingaq's reminiscence of that special day with a pencil is so charming. The children's reverence for that pencil is absolutely palpable. They know how important it is to their mother and that it is not a trifle. With every stroke of that pencil, they showed knowledge of their culture and respect for Anaana and her need to be frugal. Together Susan Avingaq and Maren Vsetula, who'd first collaborated on Fishing with Grandma (Inhabit Media, 2016) which was also illustrated by Charlene Chua, bring Inuit life on the land into a meaningful but genuine depiction in The Pencil. 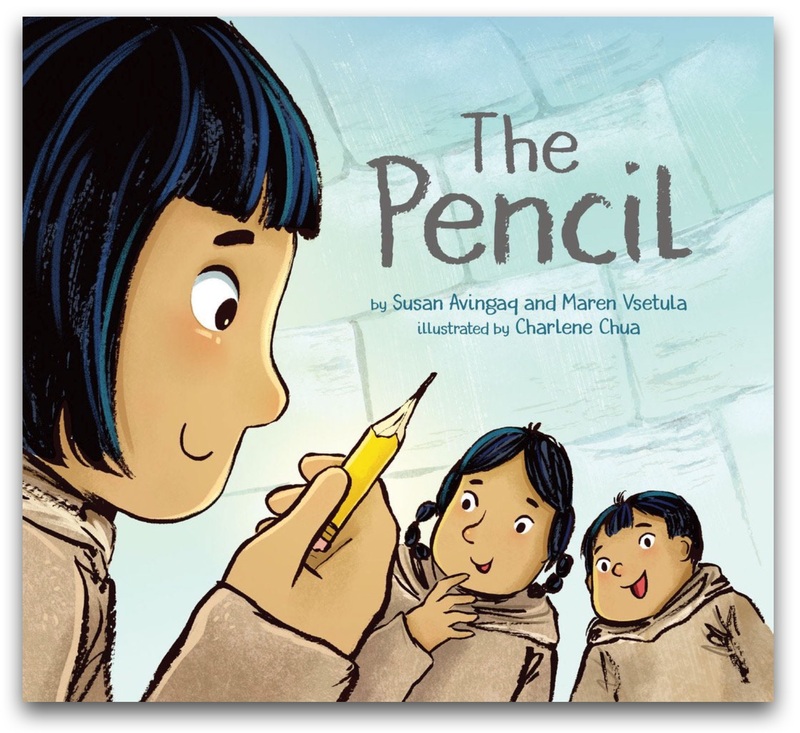 I have no doubts that Susan and her family, like many, had to be resourceful and careful with what they had and how it was used but The Pencil goes beyond a lesson in frugality and becomes a story of family, of play and of culture, which many children will appreciate. 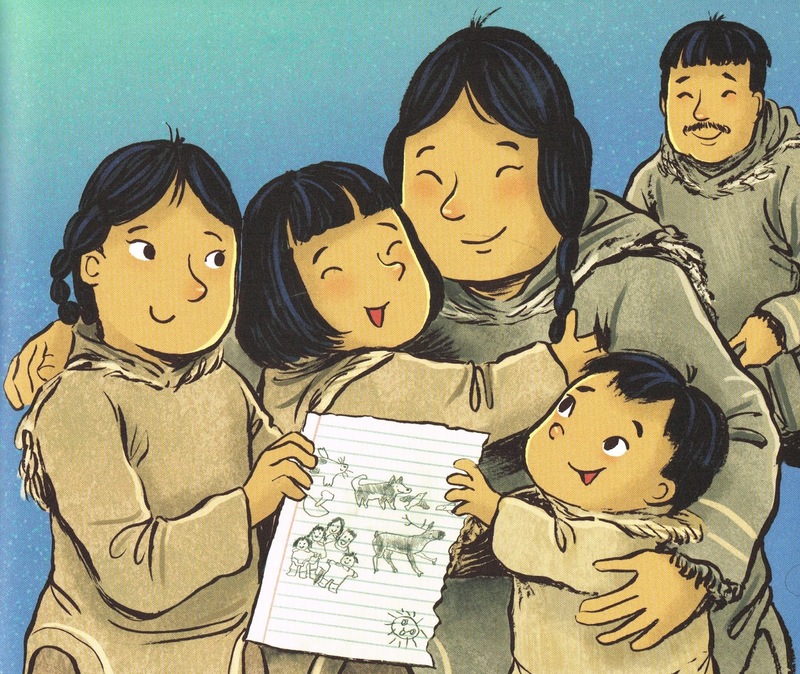 Charlene Chua, whose art has enhanced the stories of Akilak's Adventure (2016) and Elisapee and Her Baby Seagull (2017) among others, always finds a way to illustrate the love of family and the cultural wisdom of the storytellers. Children will see the delight in Charlene Chua's characters when the pencil is brought out, when their father pretends to be a polar bear and the children's regret when their mother reminds them about using the pencil. "You know the reason we have to use our things very wisely is because they are quite difficult to get. We have only one pencil right now, and we won't be able to get another until we return to the trading post," she said. 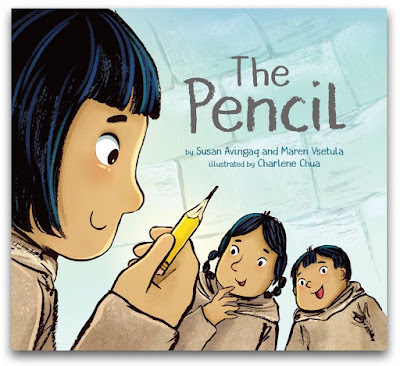 A pencil may only be a pencil to many people, but it's an opening to a new world of connection to Susan and her family and deserving of being treasured.